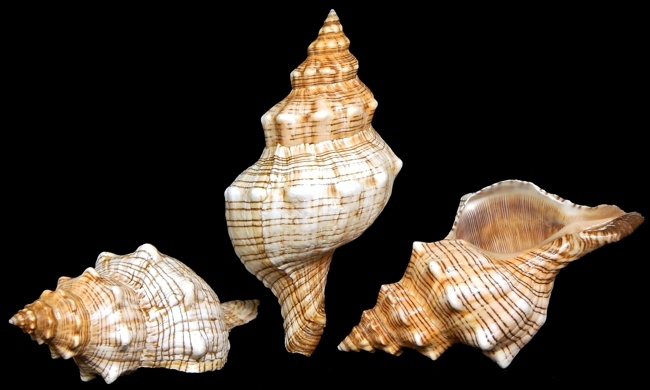 Striped Fox shells belong to the conch family. Its scientific name is Fasiolaria Filamentosa. The Fox has prominent spiral ridges and a shoulder with angled stumpy tubercles. 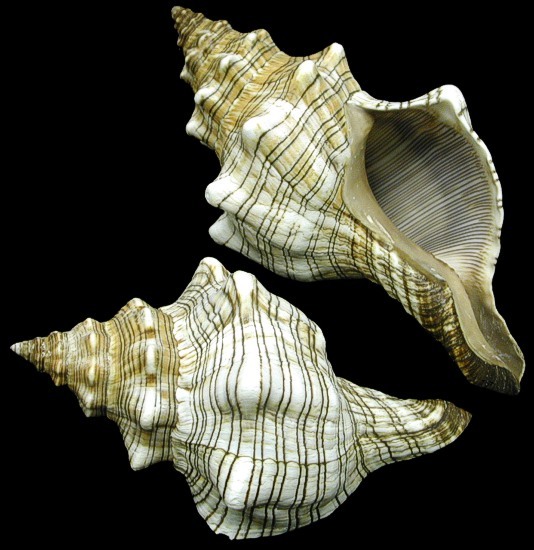 The shell features red-brown stiped markings. Its native to the Indo-Pacific region, ranging from the Indian Ocean East to the Northern coast of Australia.